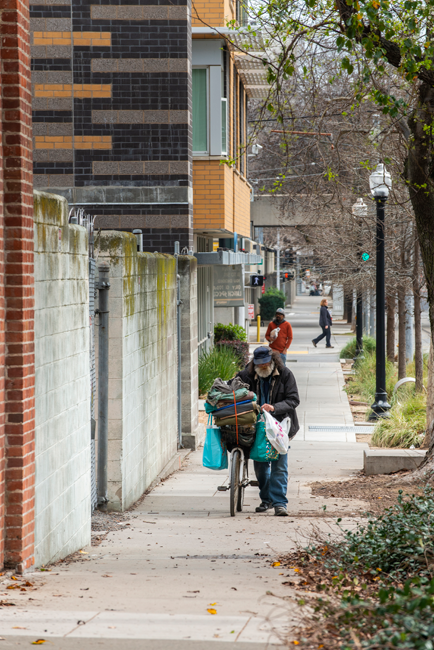 Homelessness is at epidemic levels across Sacramento County, but those working to end the crisis say there is hope for solving it—if the community has the will to do it. In 2016, Donald Powell was living in an apartment on Cottage Way not far from Arden Fair mall with his daughter, then 4 years old. Although he has been on a fixed income since 2006 (he is disabled and lives with bipolar disorder, COPD and a heart ailment), Powell nevertheless managed to pay his bills on time and provide for his family. That was the case, anyway, until the rent on his apartment spiked. 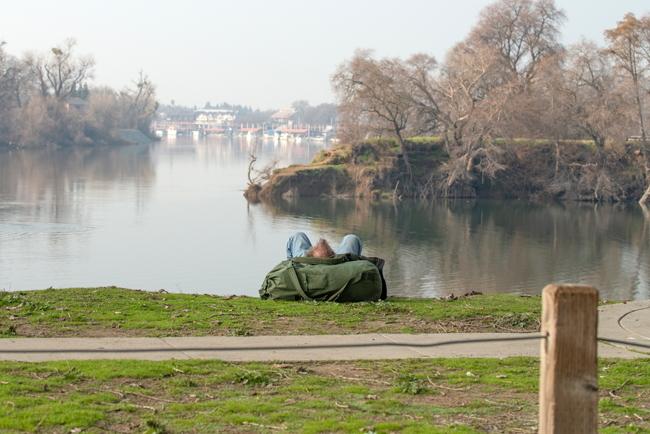 No corner of Sacramento County has been left untouched by the current homelessness crisis. 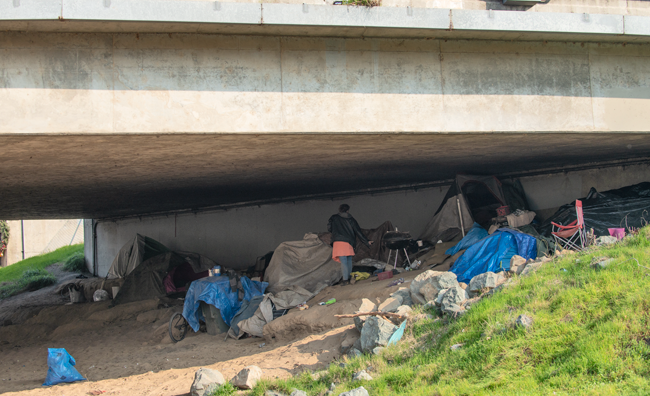 Visible evidence of the plight is everywhere: encampments along levees and under freeway overpasses, campers huddled outside of City Hall or loitering outside grocery stores, “No Camping” signs posted on the doors of businesses and in parking lots. Organizations that serve the homeless estimate that several thousand individuals in the county lack permanent shelter and are sleeping outside or in a shelter or on a borrowed couch on any given night. Unknowable is the scale of human suffering that comes with being unhoused—how many incidents of physical or sexual violence, trauma, depression, hunger, sleeplessness, fear, loneliness or despair afflict those living without shelter. Homelessness is arguably America’s most complex and stubborn social problem, precisely because a constellation of factors contribute to it: a lack of affordable housing; unemployment; poverty; domestic violence; health problems; physical disabilities; fractured familial relationships; mental illness; substance abuse; a lack of support for people discharged from hospitals or released from jail; aging out of foster care; a family’s rejection of LGBTQ youth. Alone, any of these misfortunes would be daunting. Stack two, three or more of these circumstances together and it’s not difficult to see how homelessness happens. 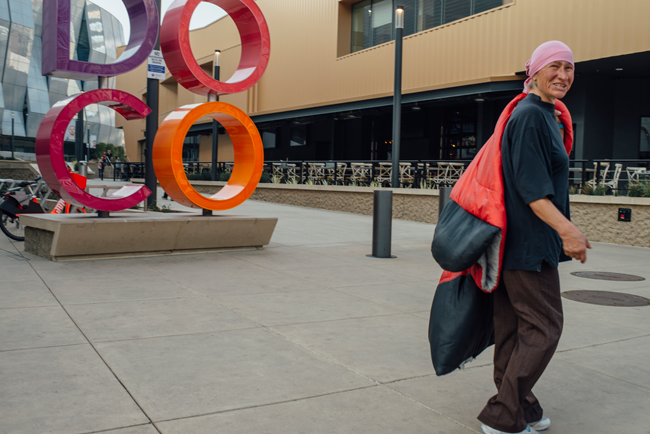 Although experts have a grasp on the root causes of homelessness, advocates note that a great number of stereotypes persist about the region’s homeless population. “One myth that really drives me crazy is that they must be from somewhere else, but nothing could be further from the truth,” says Erlenbusch. Erlenbusch also says the assumption that homelessness is only deadly during the winter months is inaccurate. “Lots of people die outside during the other months,” he says. 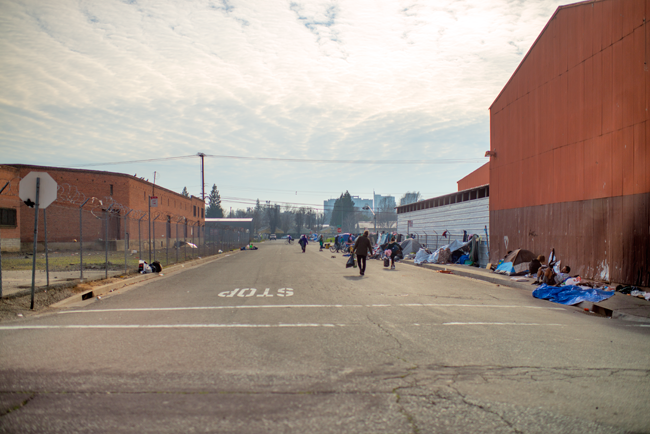 “That’s why we need year-round shelter, not just winter shelter.” According to Erlenbusch, 124 individuals experiencing homelessness died in Sacramento County in 2017, up from 78 people in 2016. Experts agree that the longer an individual lives on the streets or in a housing-insecure situation, the more trauma the person suffers and the more challenging the person is to house. 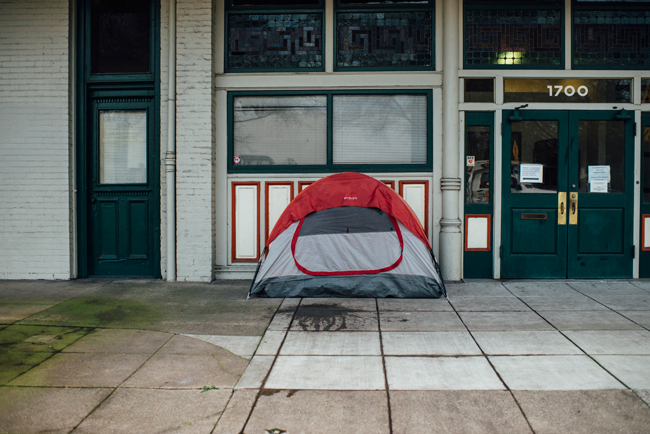 “The longer they live unsheltered, the more likely they are to develop problems that will complicate them finding a stable housing situation down the road,” explains Beaty. That’s one of the reasons Sacramento Mayor Darrell Steinberg pushed to establish a 24-hour low-barrier triage shelter for adults where people could receive services—including everything from securing an identification card to accessing health care—to help them on a path to permanent housing. Low-barrier shelter means that ­­­­guests can come as they are—with partners, possessions and even pets. 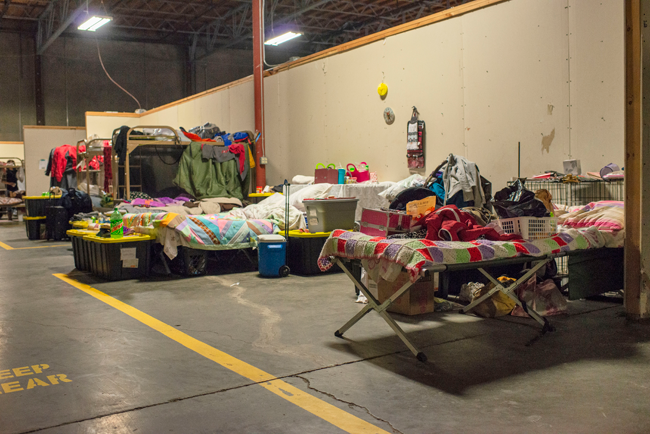 The shelter that opened in 2017 in a warehouse on Railroad Drive near Del Paso Boulevard and the Woodlake neighborhood faced vocal opposition early on from residents and business owners who feared it would attract crime, litter and other nuisances. But city officials say crime in the area has dropped significantly since the shelter opened. And through an organization called Downtown Streets Team, volunteers who are themselves homeless help keep the surrounding area free of debris. The Railroad Drive location is far from perfect. Guests must use portable toilets and outdoor showers. The upper bunk beds have proven difficult for infirm and disabled individuals to use. There is little outdoor space for guests and their pets to recreate. The shelter has no kitchen; three daily meals are brought in to the facility each day. And it isn’t cheap: It costs around $400,000 a month to operate the facility. Nevertheless, the shelter, which is run by Volunteers of America and funded through private donations and city funds, is largely considered a success. Dozens of individuals, many of whom have been homeless for years, have moved on from the facility into permanent housing. Now, the mayor is calling upon the city’s eight council members to commit to housing at least 100 individuals in each of their districts, whether in one large shelter or in scattered residential sites. It will be a hard sell for elected officials to make to residents, but Steinberg insists that bringing solutions to scale across the community is a necessary step toward getting thousands of people off the streets. Donald Miller is a testament to the value of a low-barrier triage shelter. Born in Sacramento to a large family, Miller graduated from Foothill High School before joining the Marines. He served in Desert Storm, an experience he says changed him forever. “I didn’t want to be over there, but you have to serve your country,” he says. Although Miller suffers from flashbacks and seizures, he works occasionally for his cousin’s landscaping business. The income, however, isn’t enough to pay for stable housing. Miller, a soft-spoken man who wears a rubber wristband imprinted with the words “Everyone Matters,” had been without a roof over his head for several months when he entered the shelter. He had been evicted from an apartment due to drug use by his then-girlfriend and was living on the streets when a member of the Sacramento Police Department’s Impact Team helped connect him to the Railroad Drive facility. Miller is working with a caseworker to obtain identification documents after his birth certificate was stolen. He hopes someday to secure an apartment with the help of shelter staff. “I just want to be off the streets, living happily,” he says. In the meantime, he makes himself useful around the Railroad Drive facility, sweeping up or wiping down tables in the eating area, and takes pride in his contributions to the shelter. 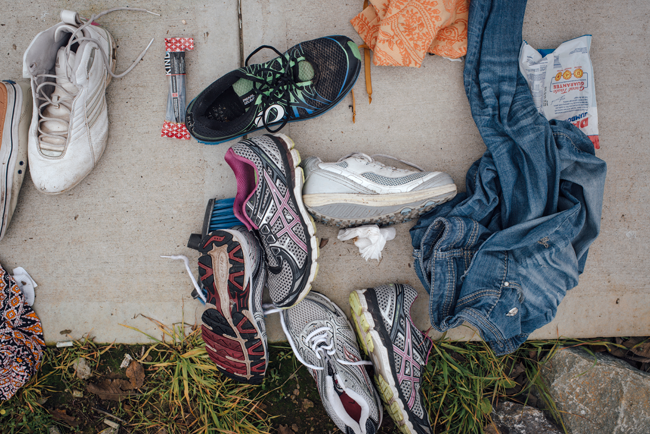 Anna Darzins, program manager at the Railroad Drive facility, says that the public can sometimes feel impatient about the lack of visible progress in addressing the homelessness crisis, but she witnesses meaningful victories every day. Like Darzins, many people serving Sacramento’s homeless community remain hopeful in the face of what seems like an intractable problem. 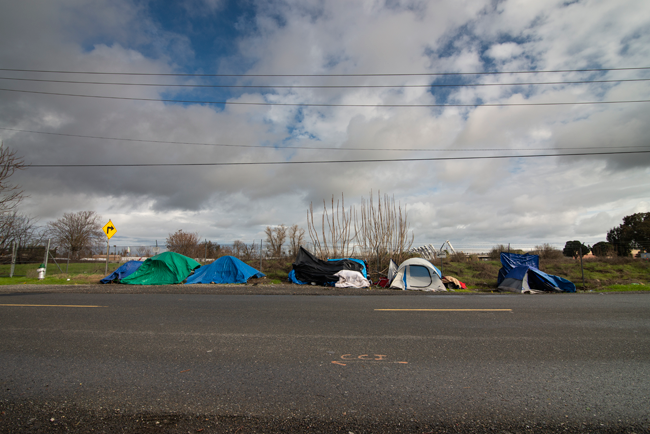 Beaty, too, believes homelessness needn’t be a permanent condition, but maintains change is predicated upon state and local officials implementing policies to address the lack of affordable housing.